Book release and murder mystery giveaway! Often we celebrate new releases at Inkwell with a party: celebrity waitstaff and to-die-for virtual food. But for the release of FOR WHOM THE BLUEBELL TOLLS, I've set up a little murder mystery party, just for you. And you might win a copy of this book! Some clues you may know, but feel free to use your computer to help you solve this little mystery. When you've figured out the nine-word message, email your answer to Barb@BarbaraEarly.com, and I'll choose a winner out of the correct responses. Could the next clue be in the dictionary? You run to the dusty old Websters sitting on the shelf. There's more stationery being used as a bookmark. No, not a bookmark. Another message! What does this clue say? You get so excited, you drop the rock, which clatters to the floor. All of a sudden the "victim" snorts and sputters and sits up! Oh, it's me! Apparently I was only napping. OK, this little game is probably not my best mystery to date, but if you've figured it out, remember to email your answer to Barb@BarbaraEarly.com, and I'll choose a winner from any correct entries. This contest runs until Friday, January 9th. A winner will be announced on Saturday. Florist Audrey Bloom, co-owner of the Rose in Bloom, creates fragrant bouquets for brides. But when a wedding goes fatally wrong, it’s up to Audrey to sniff out a killer . . .
Everything is coming up roses for Audrey when her dazzling creations are picked to be featured on a wedding reality show. The hot series is filming an episode about a bride who’s bonkers for bells, and Audrey’s bouquets of campanulas, calla lilies, and Bells-of-Ireland are perfect for the bridal theme. But Audrey’s debut quickly becomes a hothouse of trouble. Her ex, Brad, shows up as a crew member on the show, threatening her blossoming relationship with Nick the baker. To make matters worse, when one of the show’s hosts is found dead in the bell tower of a historic church, all the evidence points toward Brad. Now Audrey needs to weed out the real killer before someone else’s chance at stardom is permanently nipped in the bud . . . Releases January 6th, 2015, and can be purchased from Amazon, Barnes and Noble, Books-a-Million and other fine retailers. Oh my goodness, this is fun! I am so excited for this book. Preordered and everything. Wish I were eligible for the contest but I'll play anyway, just for the fun of it. Love the waitstaff AND the snack. 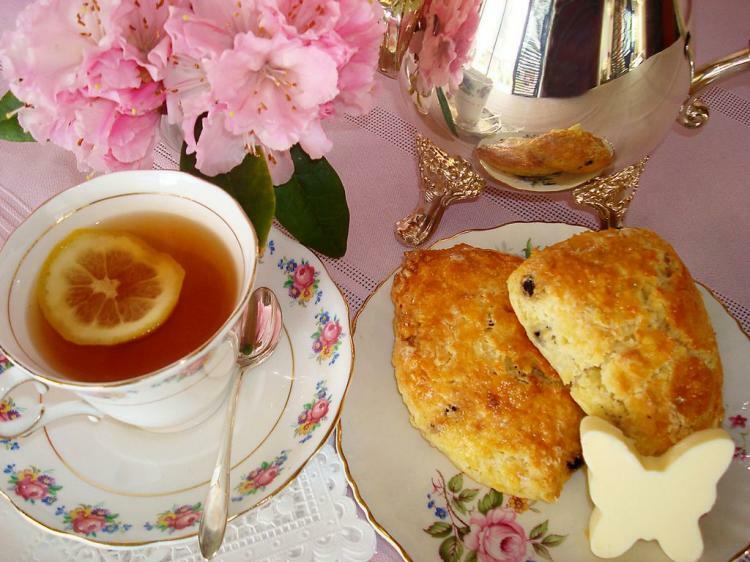 Don't mind me if I linger a while with my scone. Congratulations, Barb/Beverly! So thrilled for you! BTW thanks to Lisa for the new look of the blog! I feel so jaunty! Very cute idea! Best wishes on your new book. Fun fun fun! Barb! You're so clever. I've preordered, too. I can't wait. Congratulations, my friend! Thanks, Suzie. Those preordered books should be arriving soon! One of the clues almost had me stumped...but I think I figured it out...the book sounds good.. If you need help with any of the clues, tell me which one and I'll be glad to supply an additional hint. Be sure to email me your answer to enter! 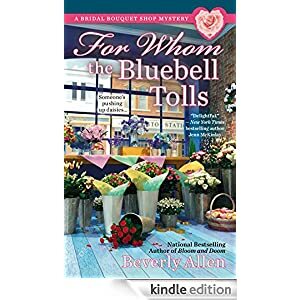 I am visiting from the For Whom The Bluebell Tolls party. Thanks for a fun wakeup for my brain this morning. Glad you could stop by, LJ! I did it! Although I can't win, I believe I've solved the mystery message and have emailed my answer in. Is Tsu the New Facebook?